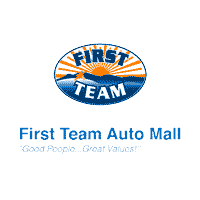 You can schedule service for any make or model at First Team right here! We specialize in giving you factory quality service at reasonable prices. We are happy to service all brands that are not sold by First Team at our full-service department, located at First Team Used Car Super Center, 6900 Peters Creek Road, Roanoke. NOTICE: Please remember your appointment is for the time to meet with your Advisor, it is not the time the vehicle will come into the shop. The vehicle comes in when the next lift becomes available after your vehicle is checked in for an appointment.